Geoffrey Coan has a national practice helping companies and insurers with the defense of complex product liability litigation. He focuses on the representation of medical device, pharmaceutical and healthcare companies, regularly serving as national and local counsel in individual cases, mass tort and multidistrict litigation and class action litigation. 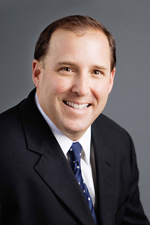 Mr. Coan joined Hinshaw & Culbertson LLP as partner in May 2010. He began his legal career in 1992 in the United States Navy, Judge Advocate General’s Corp. He left active duty in 1999. He continues to serve in the Navy Reserves. Mr. Coan presently serves as the Litigation Attorney in the OJAG General Litigation Unit. Serving as coordinating counsel for a health care entity in consolidated litigation arising out of a large hepatitis C outbreak. The case was initially filed as a class action lawsuit, but was not certified. Serving as national counsel for a generic drug manufacturer in consolidated actions pending in multiple jurisdictions involving allegations that the drug metoclopramide caused various neuromuscular disorders, including tardive dyskinesia. Serving as national coordinating counsel for a medical device company in multidistrict litigation arising out of the use of a tubeless insulin pump for the delivery of subcutaneous drug therapy. Serving as national coordinating counsel for a generic drug manufacturer in product liability litigation throughout the United States involving various drugs. Served as local counsel for NECC in the national meningitis litigation (MDL – U.S.D.C. Massachusetts). Defended a distributor of an orthopedic product focused in the small bone and joint market in litigation arising out of the implantation of joint spacers. Served as national coordinating counsel for a pharmaceutical company in multidistrict litigation arising out of the use of contaminated heparin. Served as national counsel and providing risk management services for an orthopedic and spine medical device manufacturer in products liability actions involving various products. Defended a pharmaceutical company in a class action arising out of the use of prescription flea and tick powder. Served as national coordinating counsel for a medical device company in mass tort litigation arising out of the use of a pain pump to deliver medication to the shoulder following arthroscopic surgery. Served as national coordinating counsel for a leading pharmaceutical manufacturer in litigation arising out of a professionally labeled OTC product. Defended a leading manufacturer of plastic baby bottles in a class action lawsuit involving allegations of injuries resulting from ingestion of Bisphenol-A. "Product Recalls: Minimizing Risk Before Your Recall and Defense Strategies," Council on Litigation Management Webinar, August 2015. "Extreme Claim Makeover – Building and Effective Defense in Device and Pharmaceutical cases," Panelist, Council on Litigation Management Webinar, July 2013. "Anatomy of a Supply Chain Catastrophe," FX Audio Conference, June 2013. "Latest Trends and Hot Topics in Medical Device and Pharmaceutical Litigation," Medmarc Annual Conference, June 2013. "Successful Strategies for Managing Mass Torts," Council on Litigation Management Annual Conference, New Orleans, Louisiana, March 2011. "Defending Devices: Rx for Success," Medmarc Annual Attorney Seminar, Bend, Oregon, June 2009. "Combating the Product Liability Virus," Medmarc Insured, live webinar, March 2009. "Combating the Product Liability Virus," Medmarc Broker Seminar, Palm Springs, California, February 2009. "Personal Injury Basics," Massachusetts Bar Association Continuing Legal Education, Boston, Massachusetts, 2007. "Seven Best Practice," co-author, Litigation Management, Fall 2011. "The Equestrian Helmet Standard in the United States," published in the Sports Law Journal, Fall 2001. Geoffrey Coan Quoted in Law360 Article "Product Liability Legislation & Regulation To Watch In 2016"